The Native Village of Eyak Traditional Council is a tribal government that promotes self-determination to Native Village of Eyak tribal members. 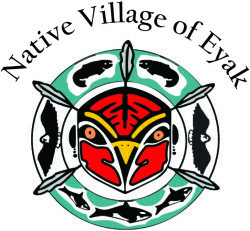 Under the guidance of the Council, tribal offices provide health and social services, economic development, natural resource/environmental education, jobs, and job training to the Native Village of Eyak. The Tribe operates in a way that is acceptable to Alaska Native cultural values and traditions in order to enhance the well-being of their people both physically and spiritually. The Tribal Council seeks ways to enrich tribal living through community-operated tribal programs and self-determination.